The Augusta Sportswear Avail Water Resistant Pant AS-3504 Adult Sizes:S-2XL and comes in the following colors Black/Gold, Black/Red, Black/White, Graphite Grey/White, Maroon/White, Navy/White, Purple/White, Red/White, Royal/White, Dark Green/White, Navy/Gold. 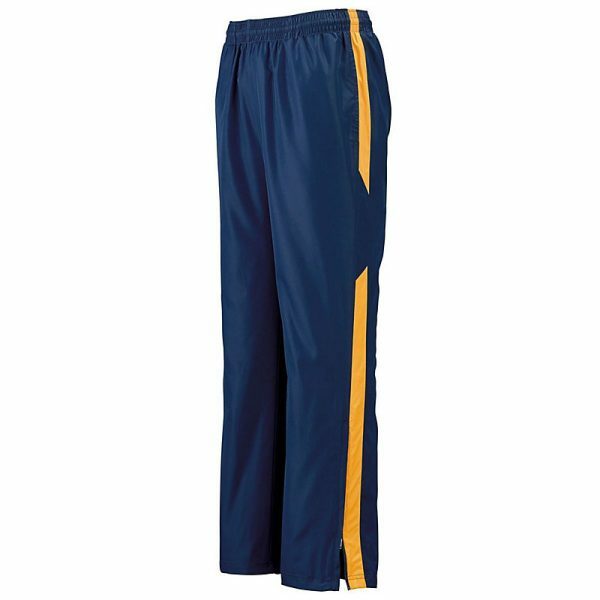 SKU: AS-3504 Category: Basketball Warmups Brands: Augusta SportsWear. This Augusta Sportswear Avail Pant is available in sizes S-2XL. It is available in Black/Gold, Black/Red, Black/White, Graphite Grey/White, Maroon/White, Navy/White, Purple/White, Red/White, Royal/White, Dark Green/White, Navy/Gold. We also have a companion Womens pant and a Mens and Women’s Jacket.